Some of you have asked about the tiered donut cakes we do around here for birthdays. So, I thought I'd dedicate a post to them and share a few tid-bits that hopefully you'll find helpful. These donut cakes will make your party a par-tay and everyone will think you are the bees knees for making one. Promise. 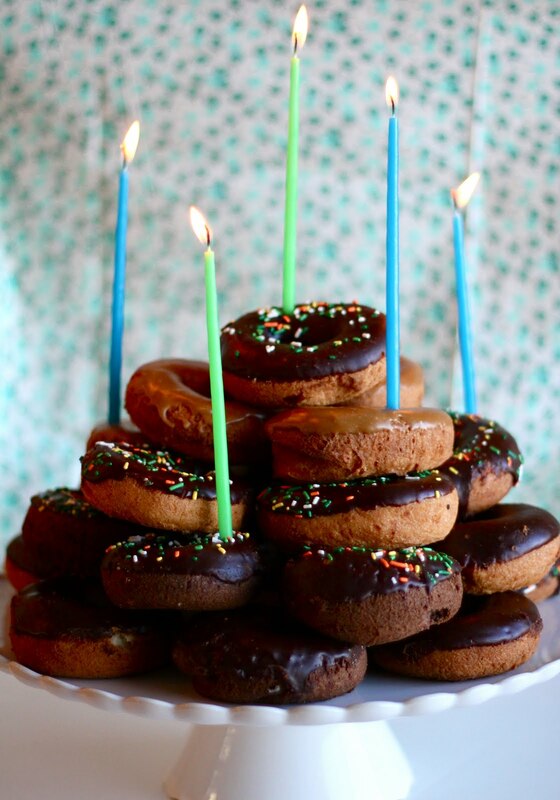 You'll need at least 24-28 donuts to make the cake. I think visually it looks more striking when you use donuts that are all the same flavor and colors, but it's entirely up to you. For the picture above, I just bought what they had on hand, so there are a few maple iced, chocolate cake and yellow cake doughns thrown in the mix. The week of the party (assuming you are making one for a party) call your favorite place to get your doughns and place an order. Then schedule to pick them up the morning of the party. My favorite places locally (UT) are Days Market (there is one in Heber and one in Provo). Banbury Cross in Salt Lake City makes a REALLY good donut. It's been awhile, but I recall Provo Bakery making some good doughns. And, if you live near a Winchell's, get them there! You may have to drive to a sketchy part of town though. But, in my opinion, Winchell's is worthy of having a store on Rodeo Drive! Their rainbow sprinkle donut has been my favorite since the womb and the Chocolate Old Fashioned's are MONEY. 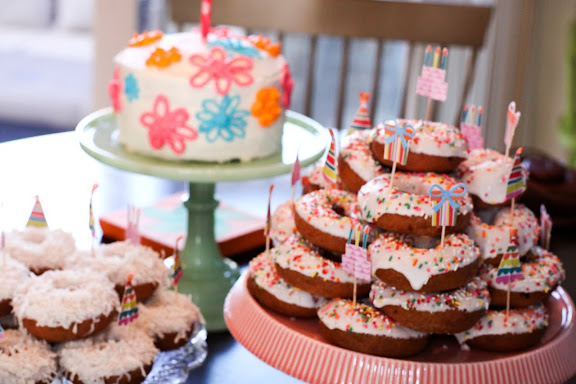 To make the donut cake, layer six to seven doughns for your first layer. For your second layer use five to six and so on. End with one single donut placed on top. Decorate with colorful candles and what-nots...the little picks you see in the donut cakes above are THESE. Aren't they cute? 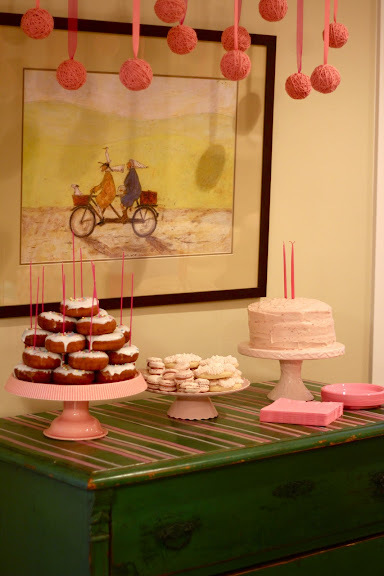 Happy Tiered Donut Cake Creating! So cute Bri! I love the idea. Where did you find the tall candles? The candles are TAG brand and I got them here at The Store in Midway. I've seen them other places though. Such a great easy fun idea. thanks! No, thank YOU! Love ya, Auj. Love this idea and I'm totally beginning to think that donuts are going to be the next big thing just like cupcakes were! So cute!